A very nice Mr. 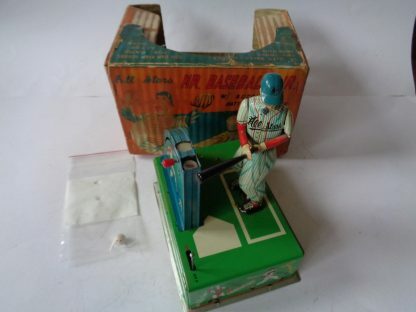 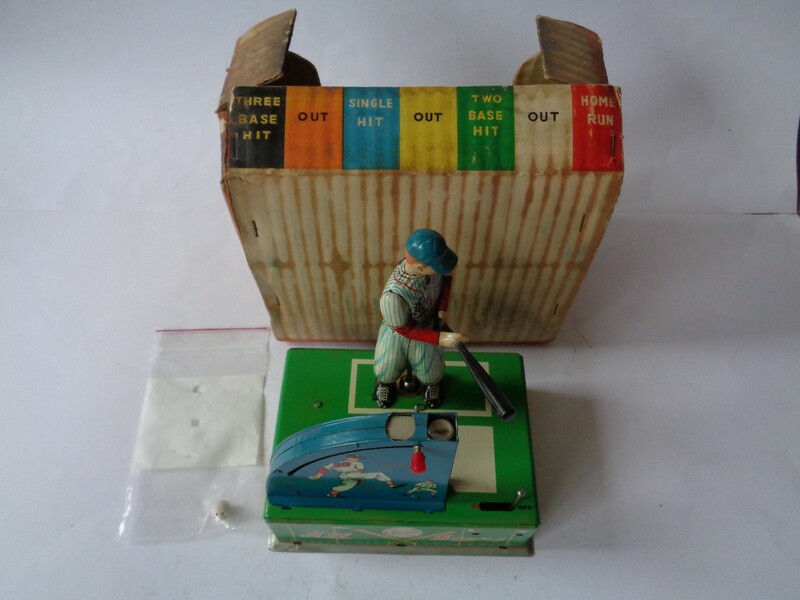 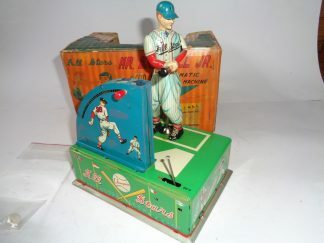 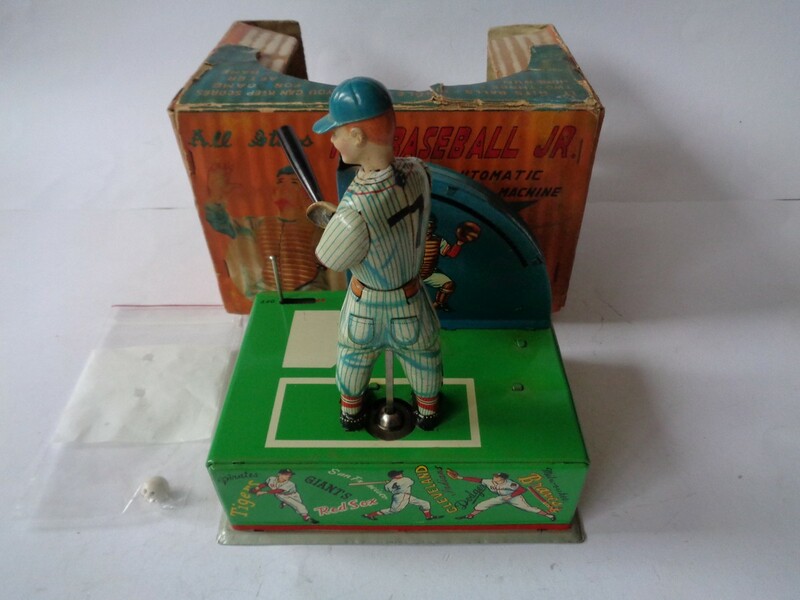 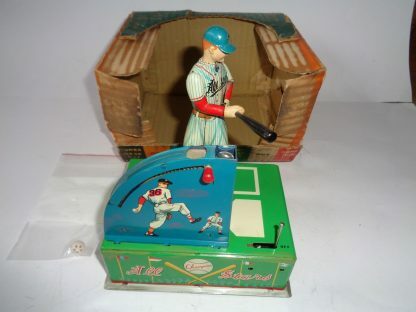 Baseball Jr. with Box. 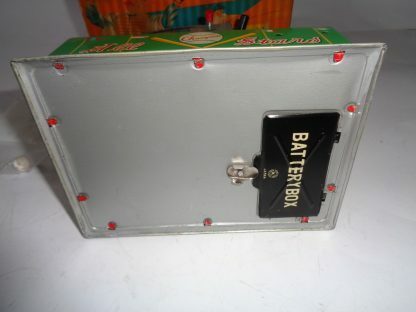 Battery operated, good working (works visa versa). Box has some damage. 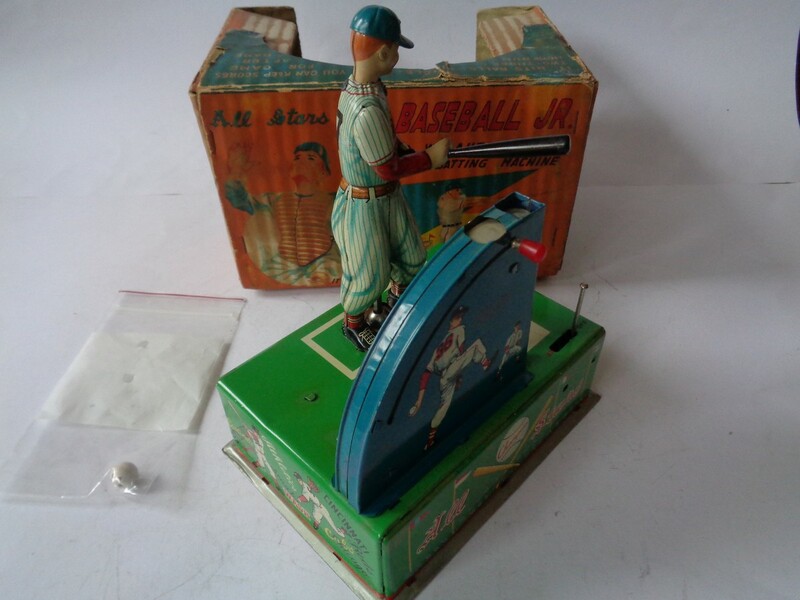 With one Ball. 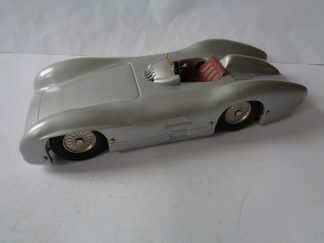 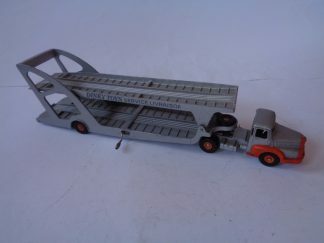 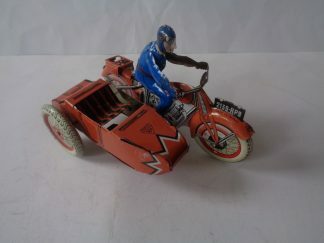 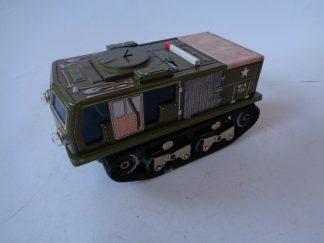 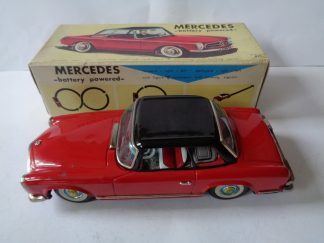 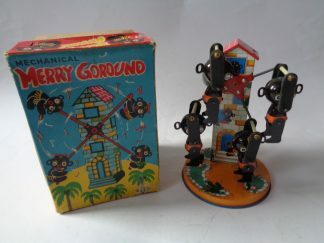 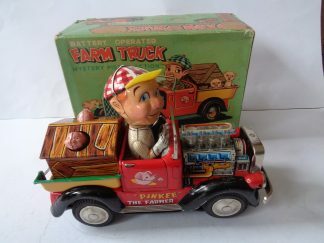 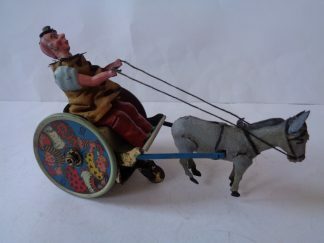 A rare and difficult to find tin toy.